Congrats Mark. Inspiring story of your send. I now recall looking at that line last fall and wondering what it was all about. It looked super hard at the bulge. Congratulations, Mark! I’ve been quietly following your blog ever since you started it. Even though I’m still in West Texas and haven’t gotten on rock or plastic much the past year (6 times total, I believe), I think about climbing all the time and do a fair bit of “vicarious climbing” via the Internet. My palms were starting to sweat while reading about your send! 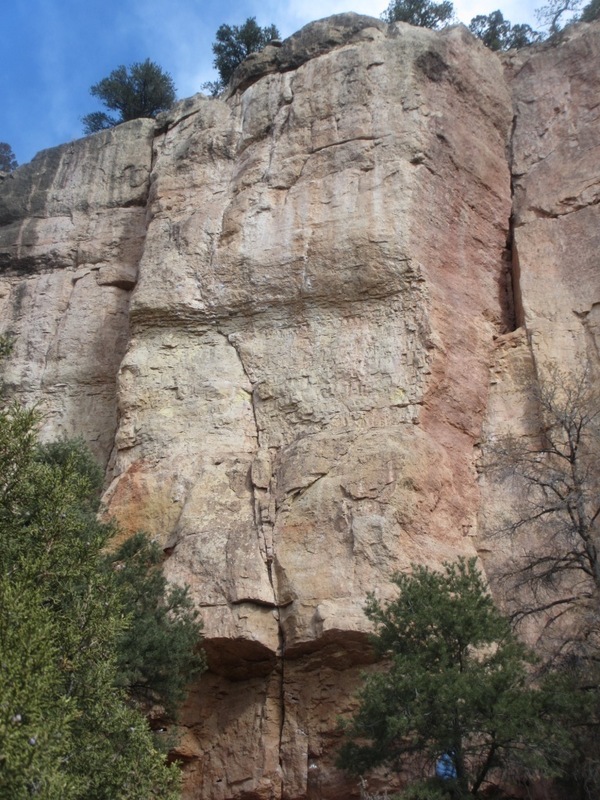 I clearly remember belaying you on this route that day over a year ago and watching you struggle with the crux… it seemed impossible even for you at the time. Way to go! (That day you also belayed me on probably my proudest onsight.) 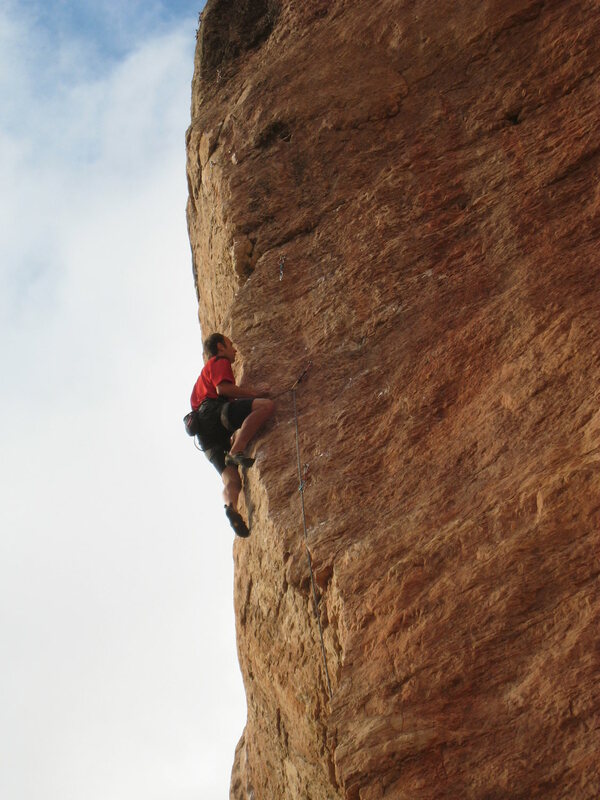 Keeping up on your blog motivates me to start trying to climb regularly again. 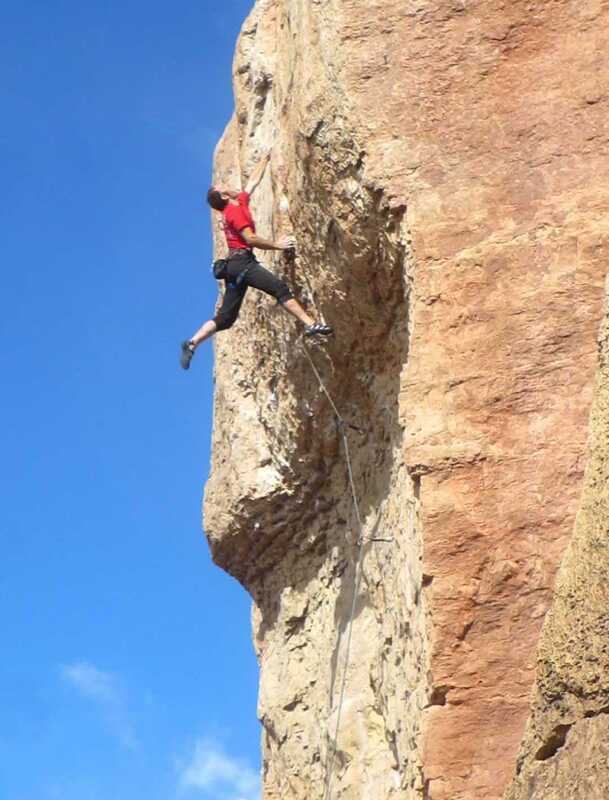 I live 4 hrs from Last Chance Canyon, Sitting Bull Falls, the Tunnel, and Hueco Tanks so there’s no shortage of good climbing for a weekend trip. I also work a 2 week on, 1 week off schedule so that allows for some travel. I plan on going north this summer at least once to escape the hellish heat down here. I’ll let you know if I head your way!